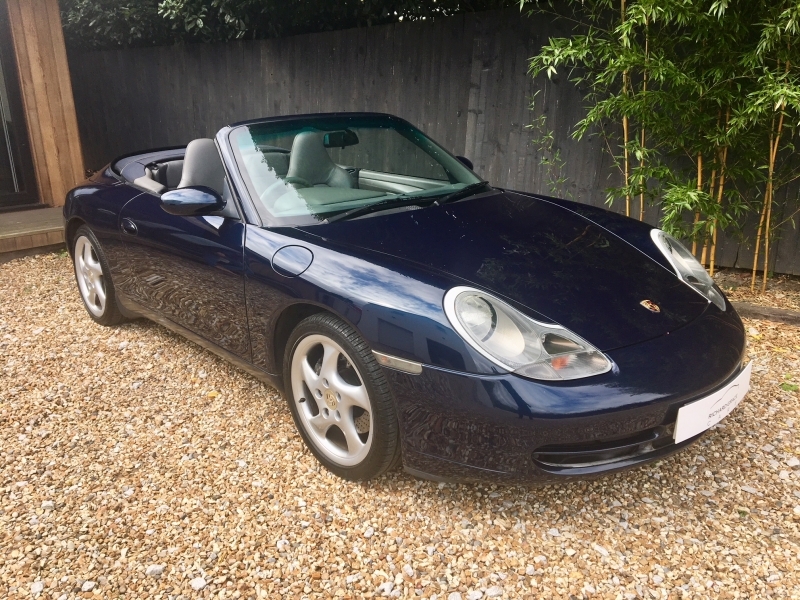 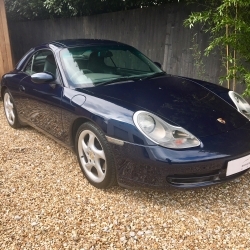 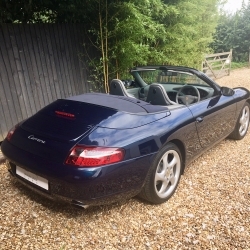 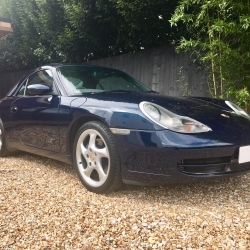 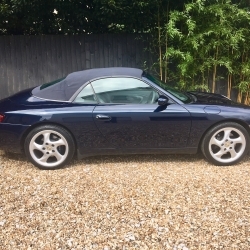 For sale is a Porsche 911 (996) Carrera 2 Cabriolet in Lapis Blue with dark grey leather interior. 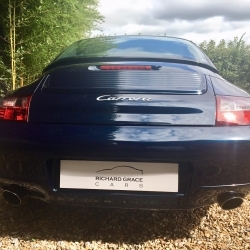 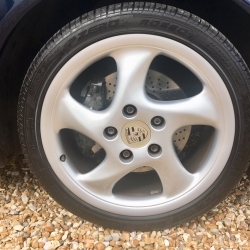 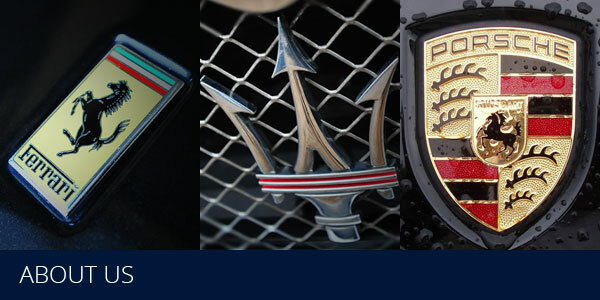 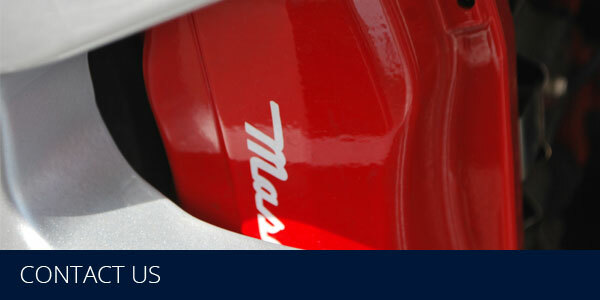 It is presented in superb condition inside and out, it also benefits from the preferred manual gearbox. 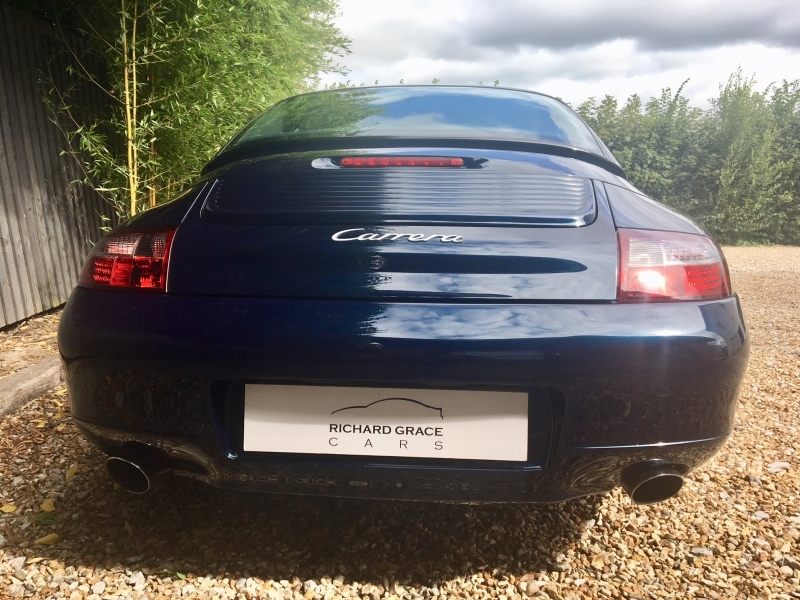 In addition to the huge standard specification, the car also benefits from the following costly options: Traction Control, Clear lenses, 18 inch Turbo Wheels, Trip Computer, Electric heated memory seats, Bose Sound System, 6 CD Autochanger, Top Tinted Windscreen and Cruise Control. 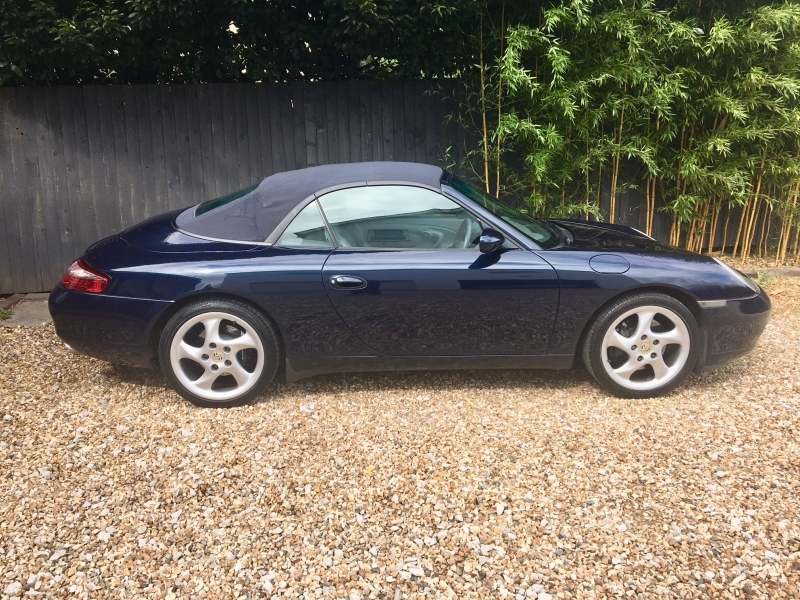 Being the Cabriolet model, it also benefits from the factory hardtop and the cabriolet roof is also in wonderful unmarked condition . 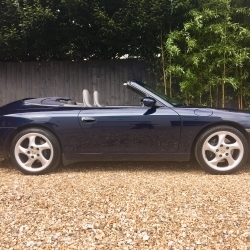 Having covered 100000 miles from new, the car has a Porsche Specialist History with the most recent major service completed this week by Unit 11 Porsche in Warrington. 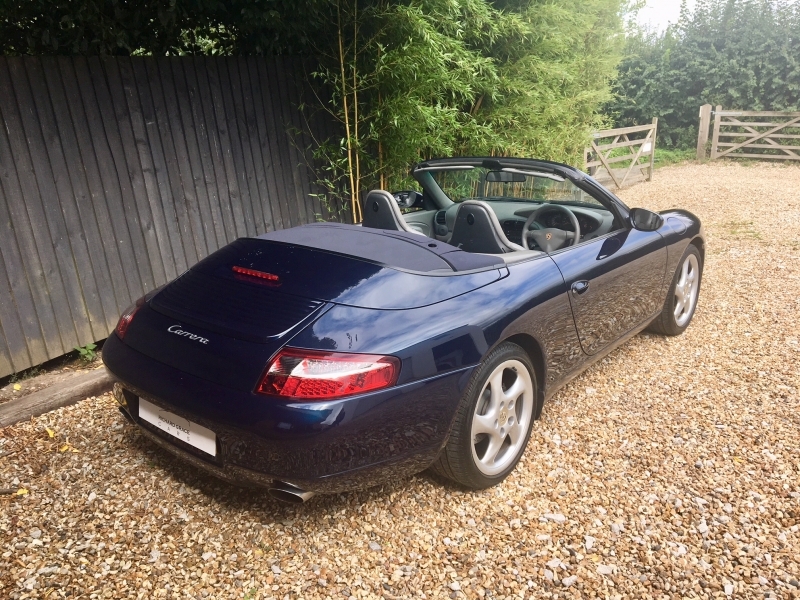 It is a car we sold 6 years ago to a family friend of ours and he has looked after the car incredibly well. 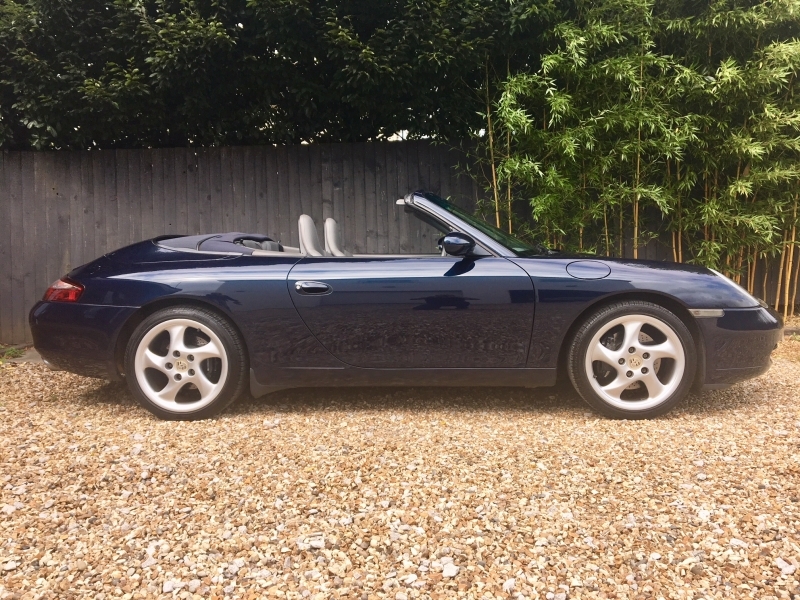 It has had a Sports Exhaust fitted which sounds superb. 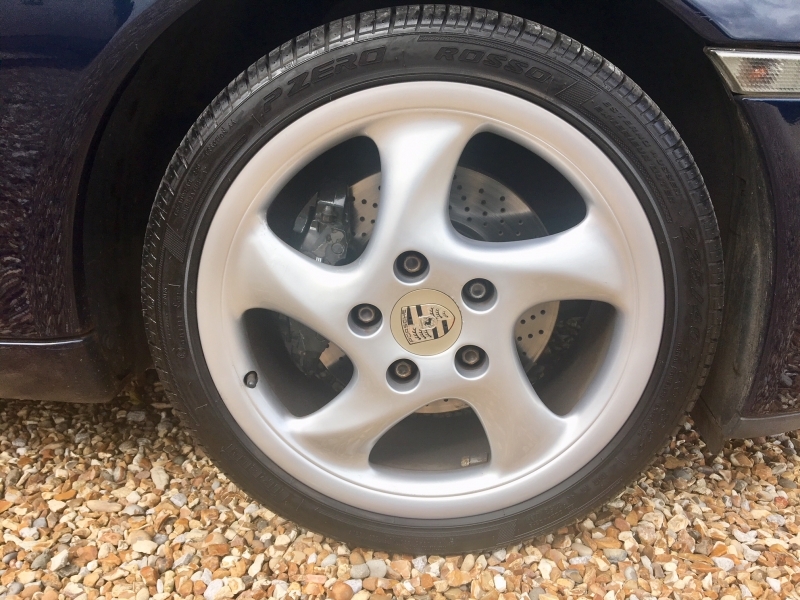 It has also had all the required maintenance such as AC and water radiators, lower arms, new brakes and pads all round etc... 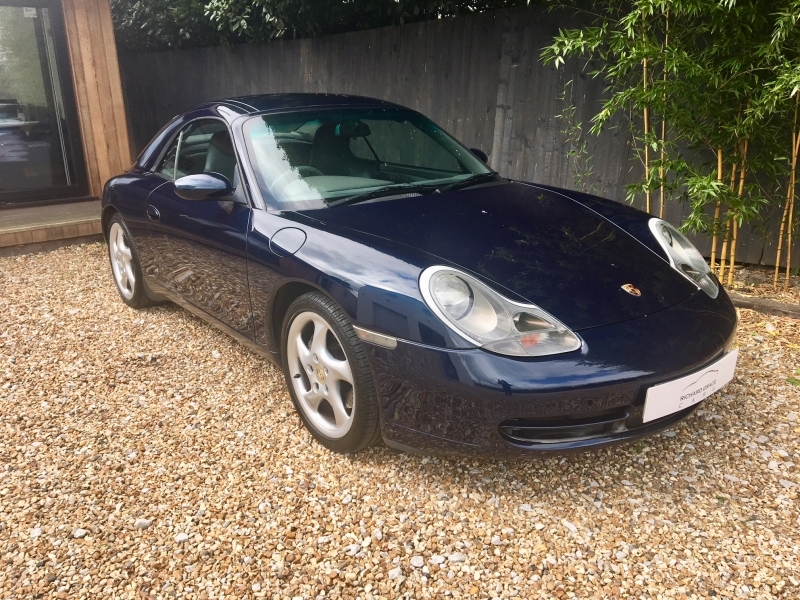 The car has now been fully inspected by the technicians at Unit 11 Porsche and has no faults, a new MOT and is ready to go. 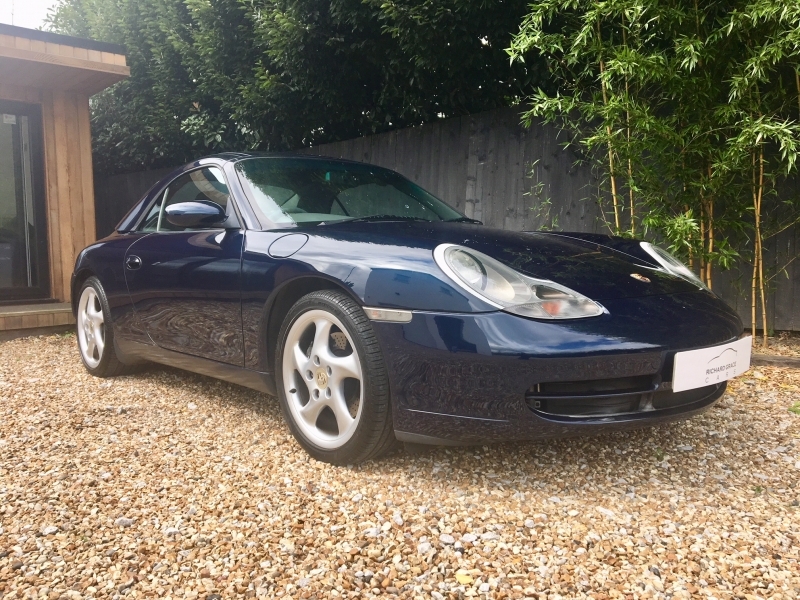 This car is a rare find, the majority of the early 996 cars are tired and sub standard, this car is a beautiful example of an everyday supercar which has no issues whatsoever.